COLORS Tamil, the youngest Tamil GEC, has lined up a special surprise for you this weekend, bringing the ravishing Madhoo to your television screens. The leading lady of many mega hits will be part of the judges panel on the upcoming episodes of Dance Vs. Dance, the channel’s top reality dance show. Having held many hearts captive with her moves in ‘china china aasai’ the stunning actor will be seen sharing delightful insights about her journey in Tamil cinema as this week’s special judge. Renowned for her graceful moves in popular movies like Roja, Gentlemen, Mr. Romeo and many more, Madhoo will be seen interacting with the contestants of DVD and sharing her secrets on perfecting moves. 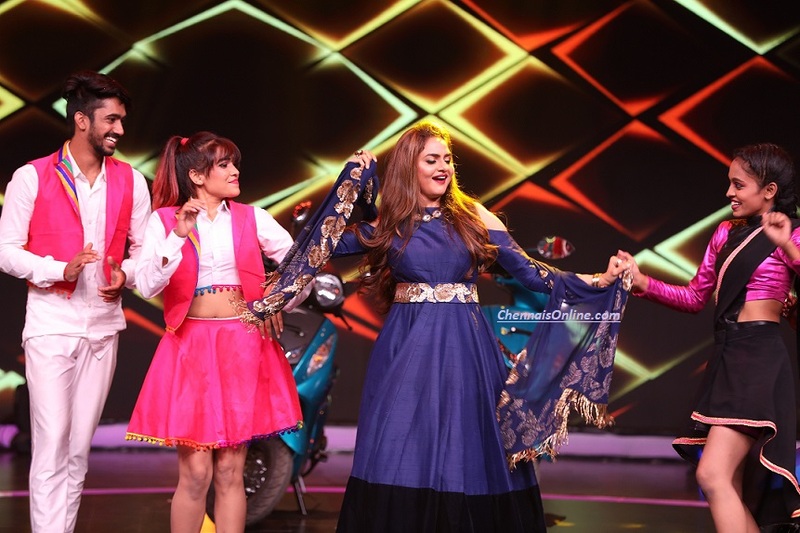 As the contestant’s head towards the final rounds of the show, the battle is set to intensify and Madhoo will be seen choosing the pair that wins her heart. The viewers are in for a treat as Madhoo shares her first-hand experience of working with legendary choreographer and DVD judge, Brinda Master. Stay tuned Dance Vs. Dance to know if your favorite pair makes it to the semifinal rounds. Catch all the excitement and some phenomenal performances this coming weekend, on February 9 and 10 at 8:00 PM, only on COLORS Tamil. The channel is available on all leading cable networks and on all DTH platforms – Sun Direct (CH NO 128), Tata Sky (CHN NO 1555), Airtel (CHN NO 763), Dish TV (CHN NO 1808) and Videocon D2H (CHN NO 553).